As a string vibrates, proportional waveforms are created in whole number ratios that occupy the same space giving rise to the harmonic overtones. 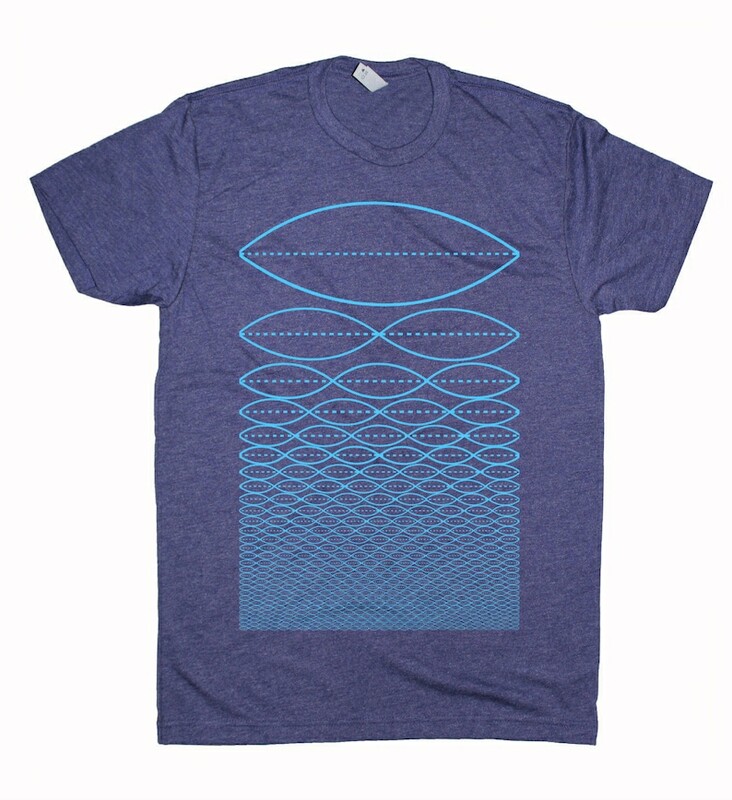 Unity subdivides into infinitely smaller units and can be visually representing like the design seen here on this Tee. Definitely a conversation starter! Original design by Brad Stanfill, specializing in minimal and sacred geometry art. All designs are hand screen printed by us! Fits great (modern fit), comfortable, and looks exactly as it is pictured. Thank you! Cool design for a smart, curious, reserved young man with real style. This is a Christmas gift for my son, and I know he will love it. Great visual representation of sound! Thank you for this beautiful art work! Such a great item. Thanks for the super fast shipping !